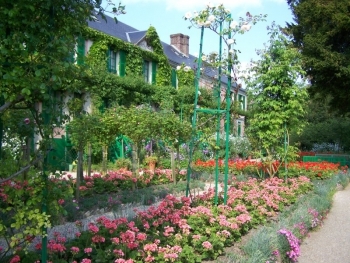 Monet was 42 when he arrived in Giverny. Let’s say he was in his forty-third year, and he spent forty three years in Giverny. Exactly half of his life! When he arrived he was looking for a big house to live with his family. He was lucky enough to find this one. He felt so happy there he never wanted to move anymore.